beta « Grimoires of Supremacy! Numerous changes here. Let’s look spec by spec, shall we? Remember, old numbers are red, and shiny new numbers will be green. Corruption: Causes [21.6% 26% of Spell Power] Shadow damage over 18 seconds. Agony: Causes [120 + 26.3% 30% of SP] Shadow damage over 24 seconds. Drain Soul: Causes [4 + 76% 83.6% of SP] Shadow damage over 4 seconds. Haunt: Deals [1 + 375% 412.5% of SP] Shadow damage. 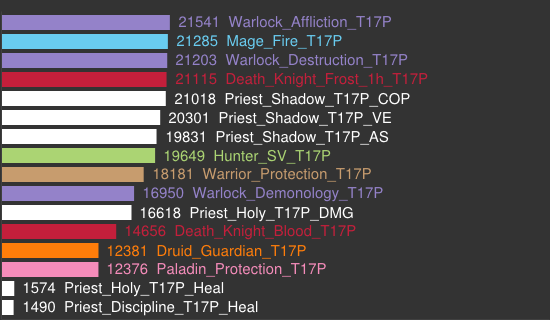 Unstable Affliction: Causes [7 + 25% 27.5% of SP] Shadow damage over 14 seconds. Deals [8 + 200% 220% of SP] instant Shadow damage to dispeller if dispelled off a target. So what we’re seeing here is a general buffing of our main rotational spells. 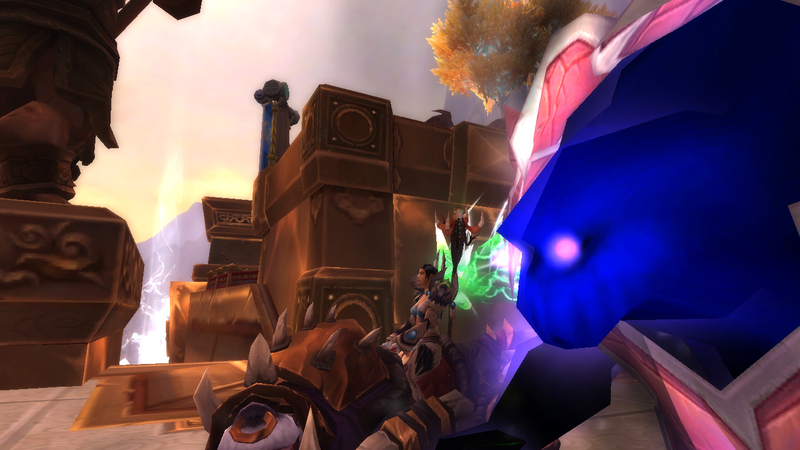 Nothing overwhemingly huge, just a general 10% upscaling of things to bring us in line with other classes. Corruption: Causes [21.6% 26% of SP] Shadow damage over 18 seconds. Shadow Bolt: Causes [1 + 105% 126% of SP] Shadow damage. Hand of Gul’dan: Strikes target and all within 6 yards for [137.6% 165% of SP] instant Shadowflame damage, and an additional [18% 21.6% of SP] Shadowflame damage over 6 seconds. Soul Fire: Causes [1 + 68% 81.6% of SP] Fire damage. Touch of Chaos: Causes [ 1 + 56% 67.2% of SP] Chaos damage. Chaos Wave: Strikes target and all within 6 yards for [210% 250% of SP] Chaos damage. Demonbolt: Deals [1 + 375% 412.5% of SP] Chaos damage. So again, a blanket buff of all our rotational abilities. Curiously, Demonbolt, which I speculated would receive a nerf last time I did one of these posts, got buffed as well! The buff it received isn’t as large as the buffs to the other spells, however. This means it may well be worth casting 3 Demonbolts instead of 4 in Metamorphosis with Dark Soul active, and spend the rest on Soul Fires while the debuff runs out, thanks to the new spell power coefficients. Arguably the spec that needed changing the most, Destruction sees no changes. I’m not worried personally. Destruction hasn’t seen any worthwhile changes, but that doesn’t mean they won’t come. Current state on the beta of Destruction is it’s hilariously weak on single target, very strong on cleave, and insanely overpowered on AoE. Movement DPS is no. I’d prefer it to be like live, where it’s on par with everyone else in single target, but pulls ahead the more enemies you put in front of it. If you’re going to make us a stationary turret, at least give us the firepower to be able to do so. Yes, they get a buff too! The pets in question being the Demonic Servitude pets, as they previously represented a DPS LOSS in taking them as your level 100 talent. Doom Bolt: (Doomguard/Terrorguard) Causes [1 + 108% 162% of SP] Shadow damage. Immolation: (Infernal/Abyssal) Burns nearby enemies for [15% 22.5% of SP] Fire damage every 2 seconds. It’s a start! Naturally, tests will have to be done to determine whether they are an increase in DPS finally, but again, I’m not overly worried. I’m being positive, you see. 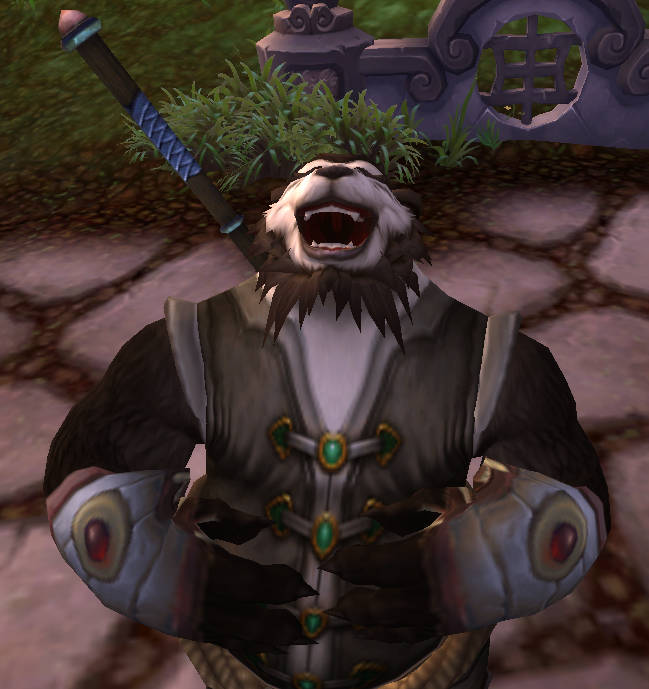 In these weeks leading up to patch 6.0.2 (my money is still on the 14th/15th of this month), we’re probably going to see the changes come thick and fast. Destruction will get its turn, don’t worry. Make sure you keep this buff! 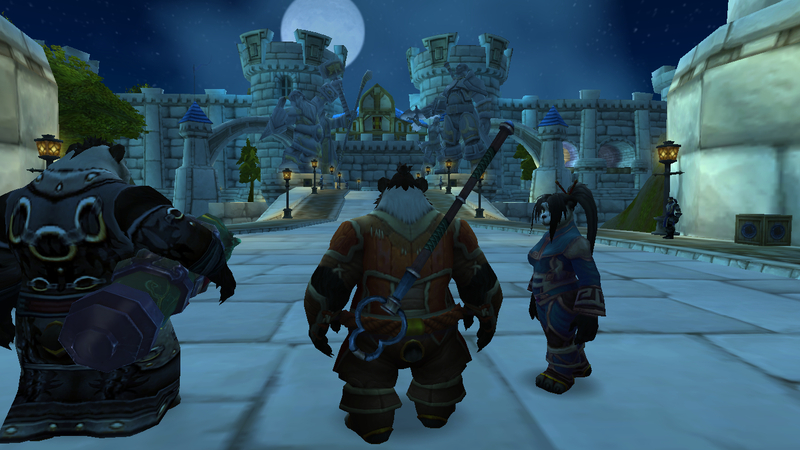 This entry was posted in Warlocks and tagged beta, Warlock, Warlords of Draenor, World of Warcraft, WoW. Why not begin with the change that has annoyed me the most? Why has this annoyed me? Well, it’s an apparent nerf because of the talent Searing Flames, which doubles the healing of Ember Tap. It’s also a massive nerf to our PET healing as well. You remember? 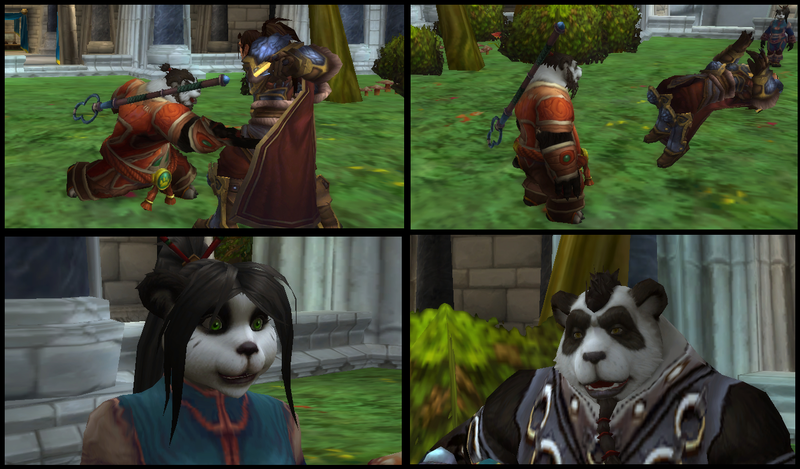 The pet healing which comes as part of one of our Draenor “Perks”? 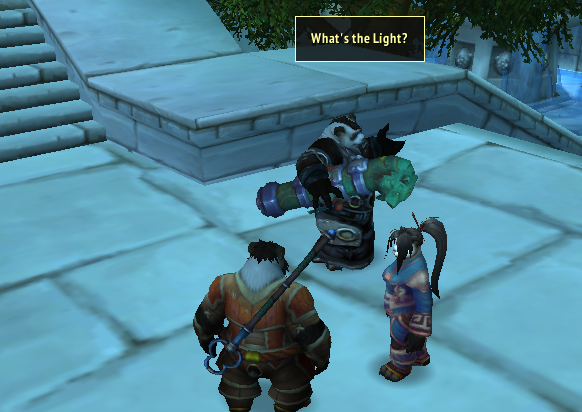 The pet healing we may not even get until we hit level 98? Improved Ember Tap: Your Ember Tap also heals your pet demon for 20% as much. Raenah has 200k health. Her Voidlord has 100k. You use Ember Tap while not talented into Searing Flames (because gosh, you just love to use Soul Leech!). You are healed for 12,400 and your pet is healed for 20% of that, which is 2,480. Let’s say your pet is nearly dead. He’s at 1 health! 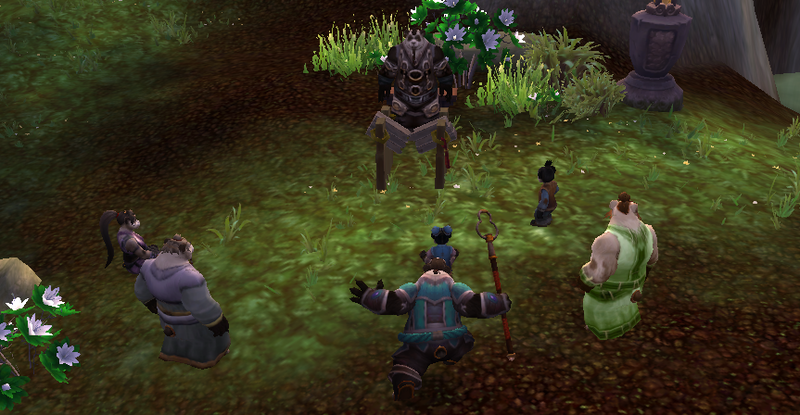 Too many enemies hit him and he’s on the verge of returning to the void from whence he came! How many embers will you need to heal him to full? FORTY ONE. It’s at this point it feels like this “perk” we have is absolutely and utterly pointless. Not only that, but the perk is rendered useless ANYWAY if we take Grimoire of Sacrifice, as this perk is dependent on you actually having a pet out. No. That’s just utterly terrible. I can’t. Scrap the perk, give us back Health Funnel, and make the perk something else. Oh gosh, the spec that’s reliant on RNG. I bet you can’t wait. Nightfall: Soul Shard generation proc rate is now 6%, down from 10%. Because we were absolutely SWIMMING in shards before, weren’t we? What with the double shard cost on Soulburn: Soul Swap and Soulburn: Haunt. Oh yes, don’t think you’re getting away unscathed. 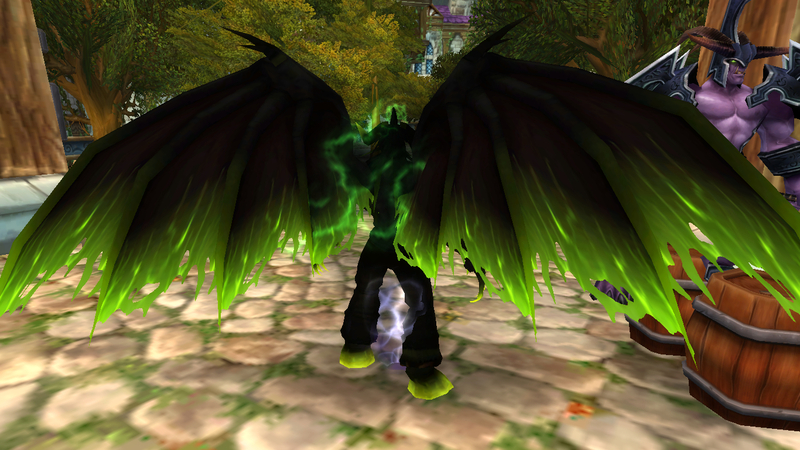 Life Tap: Demonology and Affliction only. Health Funnel: Now restores 6% of health, down from 9%. So this just means we’ve got a class that’s pretty well known for having strong self heals, and they’re nerfing them. Lots. Demonology 2pc: Hand of Gul’dan now has 1 additional maximum charge, and Corruption has a 10% 4% chance to generate 1 charge of Hand of Gul’dan when dealing damage. I’ll be honest with this one, it was kind of expected. Remember my testing from a few days ago? Hand of Gul’dan was by far the most used spell with this set bonus. Maybe now you’ll have a chance to actually cast something else. Remember this is beta, this is all subject to change. Remember this is beta, this is all subject to change. Remember this is beta, this is all subject to change. At least we still have green fire. 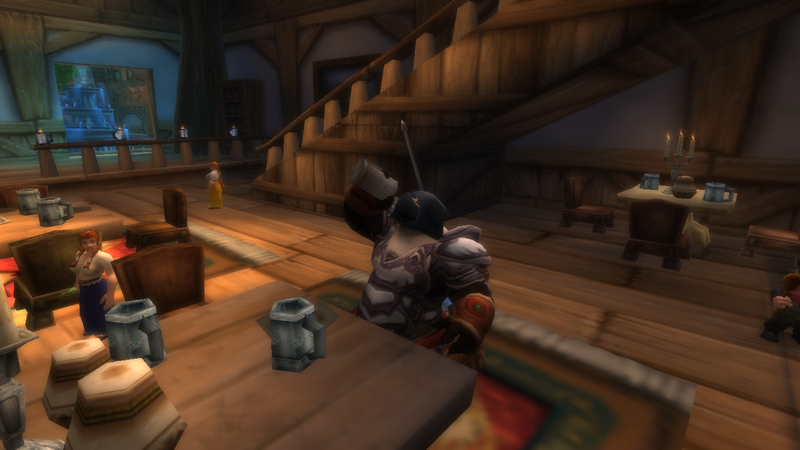 This entry was posted in Warlocks and tagged beta, nerf nerf nerf, Warlock, Warlords of Draenor, World of Warcraft, WoW. 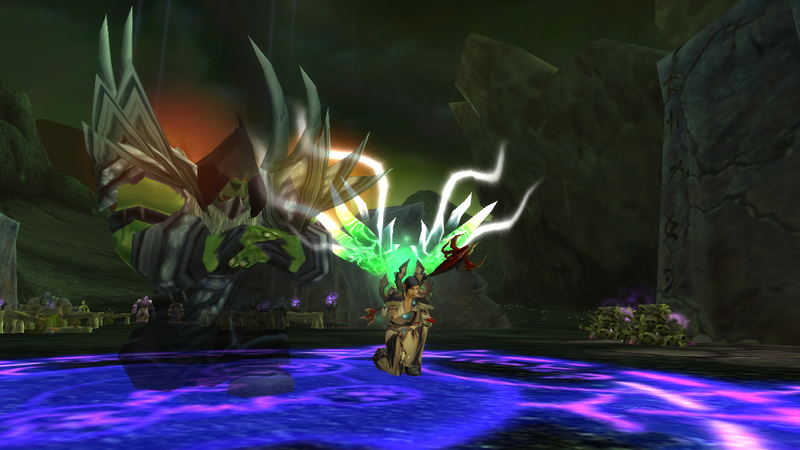 A new beta build has gone out, and it’s a nice one for Demonology! 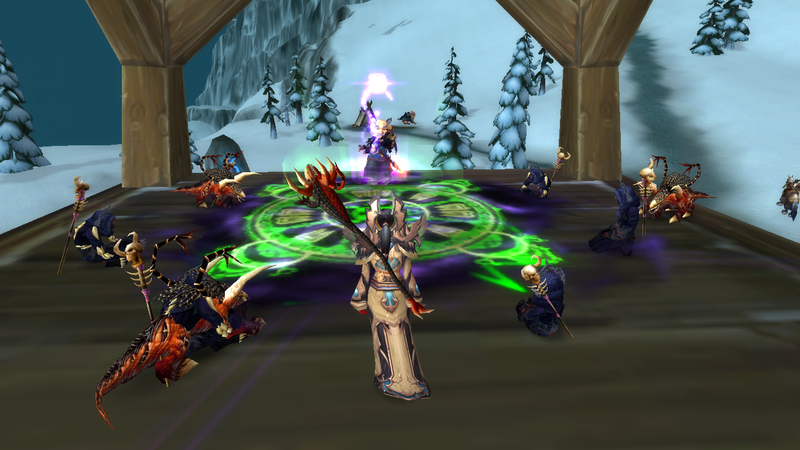 Recently, it had been nerfed to the degree that the optimal rotation would have been applying your DoTs, throw out a Hand of Gul’dan, then using either Drain Life or Touch of Chaos, depending on whether you want to generate or spend your Fury. Throw out a Cataclysm sometime. With the rebuffing, some of these numbers are still a nerf from what they were originally, coming from Mists, but it was a bit overtuned to begin with so no worries. Shadow Bolt: Causes (1+ 52.5% 105% of Spell Power) Shadow damage. Touch of Chaos: Causes (1+ 40% 56% of SP) Chaos damage, extends corruption. Demonbolt: Deals (1+ 150% 375% of SP) Chaos damage. Damage buff/cost increasing debuff lasts 60 40 seconds. Hand of Gul’dan: Strikes target and all enemies within 6 yards for (68.8% 137.6% of SP) instant Shadowflame damage and an additional (18% of SP) Shadowflame damage over 6 seconds. Chaos Wave: Strikes target and all enemies within 6 yards for (105% 210% of SP) Chaos damage and reduces movement speed by 50% for 6 seconds. Soul Fire: Causes (1+ 34% 68%) Fire damage and generates 30 Demonic Fury. So a lot of our core rotational spells have had their spellpower coefficients adjusted so that our rotation goes back to normal. Soul Fire is now a better choice (when you have Molten Core procs!) than Touch of Chaos, as it should be anyway. Thanks to the Demonbolt buff (which honestly feels a little TOO strong to me, Maybe make it 350% or even 325%? ), we have a clear choice for a single target talent (DB) and a clear choice for AoE talent (Cataclysm). What’s left to fix? 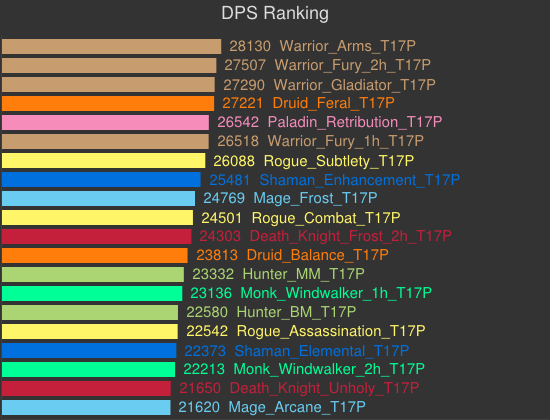 Demonic Servitude actually represents a DPS LOSS due to the Infernal/Abyssal and Doomguard/Terrorguard being less effective than your Fel/Wrathguard. In terms of Destruction, Rain of Fire is for some reason back in our single target rotation, which feels amazingly clunky. The removal of the mana regen from Shadowburn means we run dry VERY QUICKLY in execute phase, meaning we have to use Chaos Bolts as well, as the long cast time allows us to regenerate a bit of mana (Destruction has high in-combat mana regeneration anyway thanks to Chaotic Energy, and it gets even faster with more Haste). Affliction… just feels really dull now, thanks to the removal of snapshotting, but I don’t know what can be done about that to be honest. And to round this off, here’s my voildord, Metasik, taking a selfie. 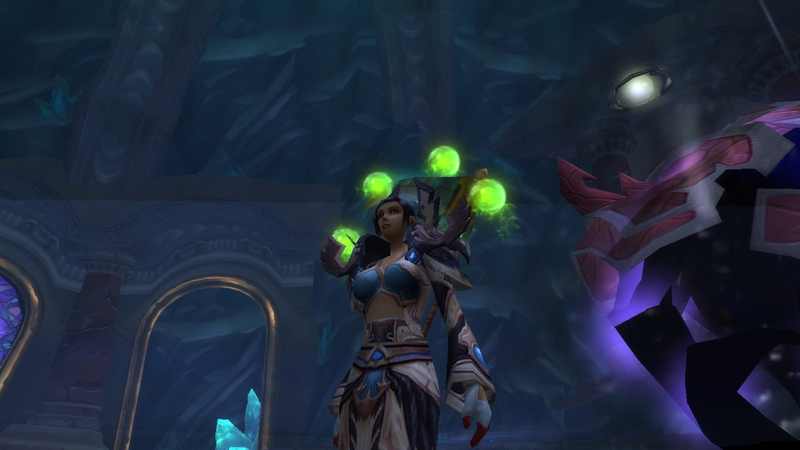 Apparently the beta build brought us more than mere Demonology changes. 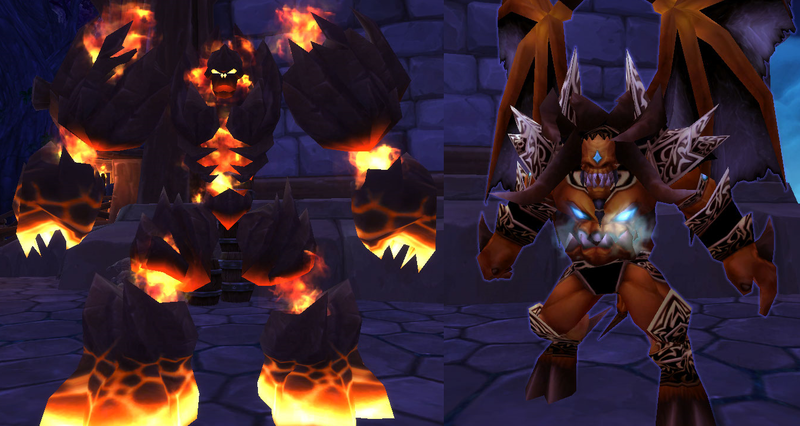 We now have a change to how the AoE Chaos Bolt (via the Chaotic Resources talent) looks. It’s awful. It looks like snot. 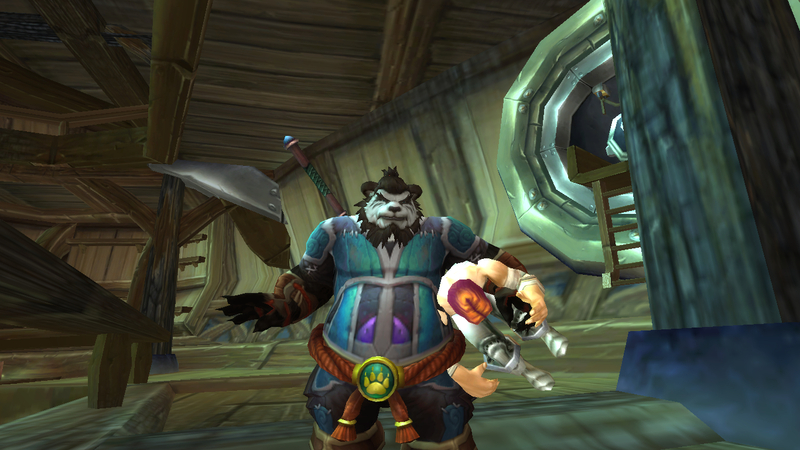 This entry was posted in Warlocks and tagged aoe, beta, beta build 18888, chaos bolt, Demonology, Warlock, Warlords of Draenor, World of Warcraft.